Compared with the rest of the original cast of Sailor Moon, Makoto was always something of an outlier – at least in her original incarnation. We had Usagi, the girl who – according to Umino1 – could make friends with anyone, Ami, the girl genius with a presumed IQ of 300, and Rei, the cool and mysterious beauty. Well, at least if you’re consulting the manga. And what about Makoto? For a show built up around a magical girl romance, she was a pretty rough-and-tumble character, at least as originally planned by Ms. Takeuchi. She was a cigarette-smoking, (possibly) beer-drinking, gang-inspired schoolgirl. While I would have loved to see how Mamoru – proto-Makoto’s name – would have played out in the series, I’m still happy with the character we did get. So how did the anime and manga portrayals of Makoto differ? Right off the bat, probably the biggest thing between the two of them is in what ways the two series focused on her femininity. 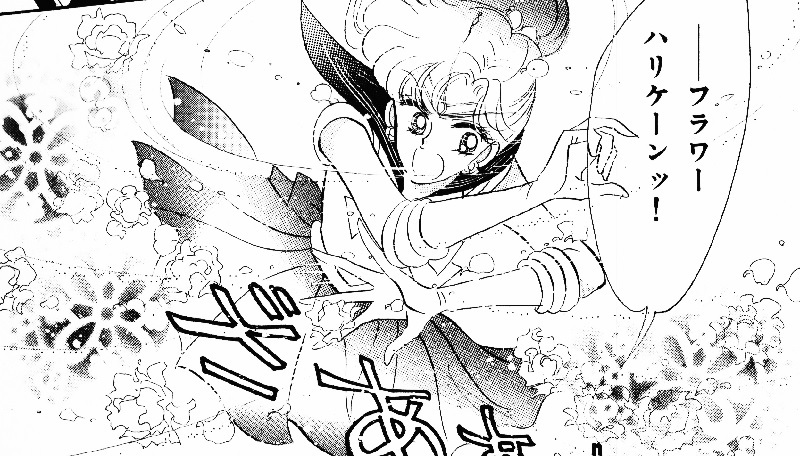 Read also: Was Sailor Moon Originally Meant to Be Able to Fly? Later on, in the manga side stories,3 we find out that Makoto even fills her apartment with plants in her attempt to escape the melancholy mood she’s found herself in. This is also the issue where she ultimately learns Coconut Cyclone. So what’s my point in all this? Much like how Rei continuously reinforces her connection with fire, Makoto was really supposed to be a character centered around a connection with nature, and not necessarily the electrically-powered domestic cooking goddess like she ended up in the anime. The color of her uniform and her last name further reinforce this point. Of course, this isn’t the first time I’m brought up confusing situation surrounding Makoto’s elemental affinity. But I think it’s worth seeing how Sailor Jupiter was looked at differently in the manga and anime, right from the very start. Looking back on Sailor Moon like we do from the point of view of analyzing a completed story, it’s easy to forget that Sailor Jupiter’s first attack in the manga was actually Flower Hurricane,4 and not her anime regular go-to attack of Supreme Thunder. While Supreme Thunder did eventually make a manga appearance, it wasn’t until Act 7. This is unfortunately another time where I can do little more than pontificate about the series by looking at the evidence, so it’s worth noting that the following is just my take on the situation. 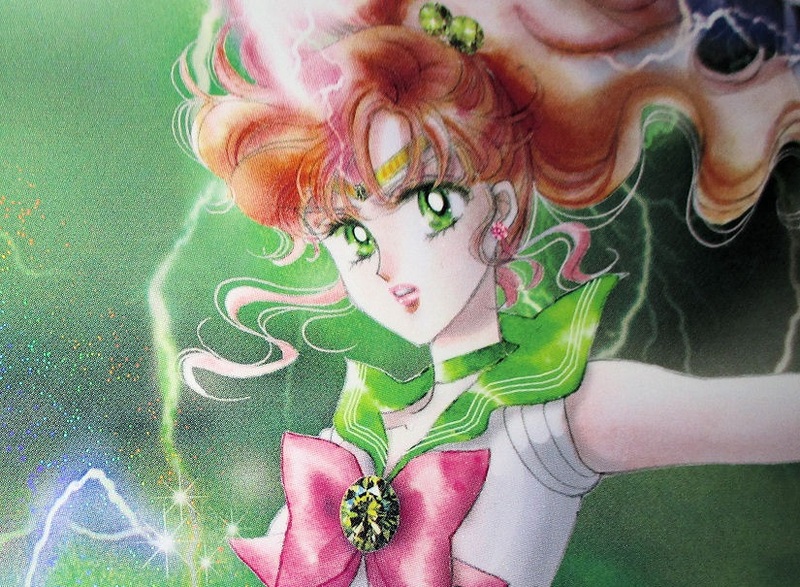 Never one to give in, though, Ms. Takeuchi continued with her original intentions, even naming Sailor Jupiter’s Black Moon Clan rival 嵐のペッツ (torune-do no pettsu) – “Tornado Petz.” Though Ms. Takeuchi gave the kanji here an alternative reading (嵐 should be read as arashi; a storm/tempest),6 it’s worth noting that this is the same kanji Sailor Jupiter uses in her attack phrase when she first joins the fray against Nephrite. Ultimately, we can’t really say what it is that inspired the difference between Makoto depiction in the anime and manga, but I imagine it’d probably boil down to something pretty simple: basically, lightning attacks look a lot cooler, cooking is easier for your young audience to get behind (how many elementary school kids like gardening? ), and the anime wanted to focus in on her “badass” side. That aside, though, I think if I had to choose which I prefer more, I’d probably pick Makoto’s manga depiction. While I really like her in the anime as well, she never felt like she was “trying” to be tough in the manga… it was simply who she was. In the anime, however, Makoto seemed to embrace this toughness as a part of her personality, and expressed it. Not that either’s bad, but that’s just my personal preference. What do you think about Makoto, and how different parts of her were emphasized? Do you prefer one over the other? ← Who Was Responsible for Rei’s Change in the Anime? I always took her ‘lighting’ attacks as more of a storm, and that storms are necessary for nature. Remember that nature is as savage as it is beautiful (tornadoes, hurricanes, monsoons, etc.). You know, it does work a lot better when you think about it that way, especially when you consider the connection between Makoto, the actual planet Jupiter, and the obscenely large tornado/storm that it’s got going on. I haven’t been back to this site in a couple of months… wow, you’ve been busy! I just want to thank you again for discovering and sharing so many little pieces of information that would otherwise never be known to the English speaking audience. I don’t know how you find so much of it! Makoto is my favorite character, and I have to say I prefer anime Makoto because that’s the version of the character I got to know first. I love that she was ready to take on Zoisite before becoming a part of the team, and that she cares so much about protecting people that it makes her angry at the villains. Supreme Thunder was such a cool looking and well-animated attack too… and I love that her first thought after using was to ask if she should do it again. Flower Hurricane just isn’t anywhere near as impressive as a bolt of lightning. The mix of being powerful but also being the most traditionally feminine character was really interesting to me. 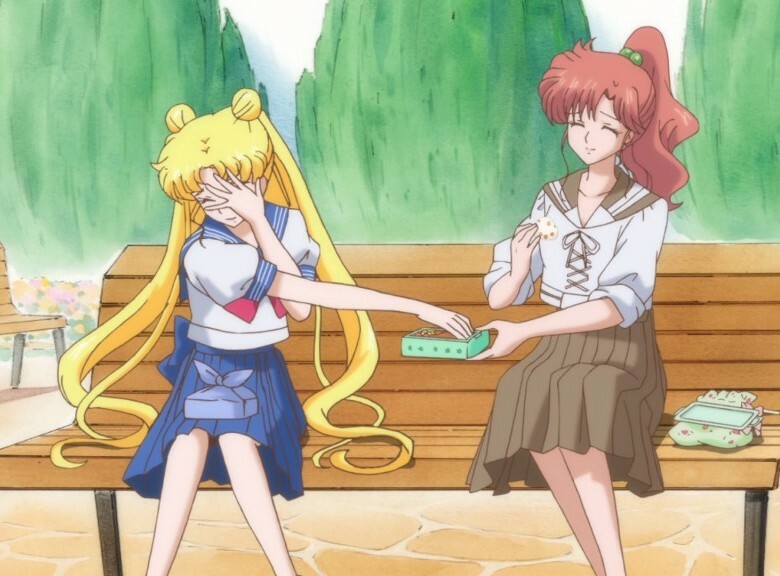 She’s the only one who matches Usagi in being sensitive and caring towards other people. But she’s also the member of the inner senshi who was able to defeat the most monsters by herself, without needing Usagi to finish them off. It made me so happy when they let her do this again in Sailor Moon S, when the inner four otherwise seemed weaker than ever. There are two things I wonder about Makoto… first, she never seemed to get along with Minako nearly as well as the others. Their personalities do clash a little bit, but so do Ami and Minako and they never argued with each other. If there was any hidden meaning behind it, I would think Makoto (wood) would have a problem with Rei (fire), but they got along well. I did kind of like how Makoto got along the best with Ami, as both wood and lightning have an appreciation for water. Is the explanation something as simple as lack of popularity with the viewers? In two seasons, when it was time to give each character an episode that focuses on them, Makoto and Minako had to share an episode with each other. Is the reason that they were unpopular? 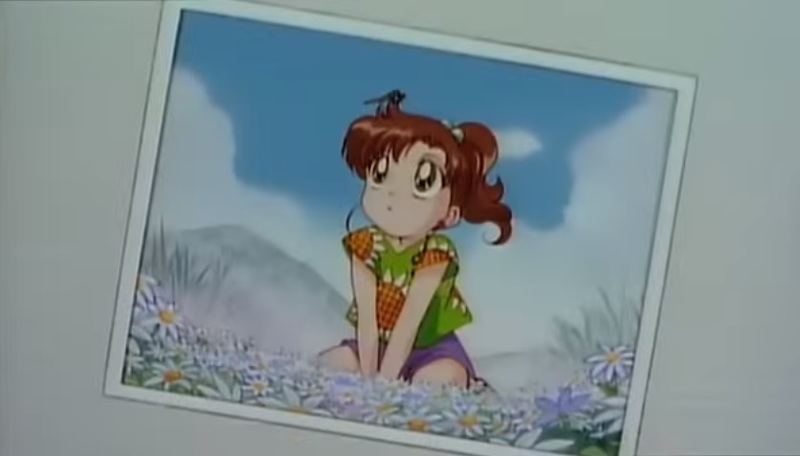 Ami always got her own episode, including a special that went alongside a movie. But then your recent blog post is about Rei’s lack of popularity with the viewers… and Rei always got an episode to herself without having to share it too. Were Minako and Makoto even less popular? According to the Nakayoshi poll results I found, Minako was almost at Ami’s level of popularity, and Makoto still was more well-liked than Rei. Which leads me to one other topic… it’s interesting how Western audience preferences differed from the Japanese audience. The Japanese fans were all about Ami, Usagi, and Chibiusa. Western fans didn’t have the same appreciation for Ami and Chibiusa, and seemed to care for Rei and Makoto far more than the Japanese fans did. One thing is in common though, everybody loves the Outers. (I still hate the dub for ruining Chibiusa’s character and making her unpopular here… she is my second favorite character, and the core character for my favorite season (Sailor Moon R). Coming hot on the heels of the revelation that Ikuhara conceptualuzed Anime Rei to make her more like his ideal woman, is it that much of a stretch to imagine Anime Makoto came together in a similar way? She’s strong yet she’s feminine, has a cheerful personality, is a top notch cook, her “talents” are legendary…. and to top it all off she’s lonely for a man! She kind of reads like lonely guy’s wish list, lol. Did someone else make a sailor waifu only this time, without getting caught? That’d definitely be an interesting angle to look into. If not Ikuhara, then it could also have been someone else on the anime staff. Personally, I always felt that Makoto kinda got short shrift in the anime. Minako too, actually. Far fewer episodes dedicated to them, it seems. Though it’s really weird, because in the manga at least Minako was a hugely popular character thanks to the Sailor V series. I wonder if maybe there wasn’t as much overlap between the manga and anime fandoms as I originally thought. That’s an interesting angle indeed, though she comes off more to me like what a lot of women want to be- strong, tough and independent… yet feminine, graceful and a domestic goddess. I would almost imagine some women on-staff (or Takeuchi herself) combined these aspects together into a personal “wish list” for themselves. And now I have a reeeeally weird theory on how Makoto’s anime self lost most of her nature-based powers. Isn’t it strange that the only plants-themed attack Jupiter used in *both* versions came up very late into the plot? It really does look like the anime writers deliberately avoided giving her those up until that point – but they couldn’t avoid including Jupiter Oak Evolution since it was her “Super” attack, which all of the Guardians received along with their upgraded uniforms. They already skipped the power-up they were supposed to have in the third arc, but that one didn’t come with uniform changes – probably why it was skipped in the first place, because in the manga they didn’t even get new transformation items, and, well… no merchandise, no point, I guess. The thing is, *the anime already had a major character associated with flowers*. Roses, to be specific. 🙂 Would it introduce another one? That one scene in Sailor Stars where Usagi remembers Tux by noticing Jupiter’s earring almost seems like the writers acknowledging that there were some shared motifs here. But, early on, when they were still figuring out how to handle the characters, they possibly tried to avoid this, make them more distinct. And since Mamoru already had “flowers”, Makoto was left with “thunder”. You know, that’s actually pretty interesting when you think about it that way, and it could explain why they were hesitant to have two characters throwing around flower-based attacks. In the manga, Tuxedo Mask did his rose-throwing shtick far less often, so it definitely didn’t stand out as much in the there. I don’t agree with this tendency to label Makoto as a tomboy. In fact, I actually regard her as being the most girlish out of the five main Senshi. For me, Minako is more fitting of that title, being the most athletic one. I also don’t agree that the Anime ‘tried’ to make her look tough. If anything it showed more of her feminine side. For example, we learn that she is a great dancer, as well as an elegant skater. An immaculate house cleaner and sewer. She also got to wear dresses more often. She’s also shown to be the most romantically inclined and sensitive. As well as the most optimistic, she never lets things get her down for long. The only possible tomboyish thing you could associate with her is practicing kung-fu. Her aggressiveness only really manifests when she’s being protective of others (besides I love her first appearance there far more), or when someone has really upset or hurt her. The rest of the time she’s actually quite laid back and easygoing. That’s one of the refreshing things about Makoto. She’s almost the complete opposite of what you’d initially expect her to be at first glance. So I’m kind of glad they ditched much of those typical delinquent traits. She still maintains a love of plants, as her apartment is full of them. And in the Stars arc we see her wanting to join the gardening club, and later growing strawberries. So to me, it was more like they were trying to present her as a kind of mother figure of the group, rather then just merely the muscle. The musicals do a good job of showing that as well. Naoko’s version also demonstrates some aptitude for brawling, such as taking on her Droid doppelgänger, and being the only one to challenge Haruka in a sparring match (sadly just so the later could look better). I would say that PGSM put more of an emphasis on the tough/masculine side of her. It wasn’t really until she started dating Motoki that she began to show more of her softer characteristics. As for the elemental focus, apart from lightning attacks looking generally cooler, they might have been trying to play up the Zeus/God of thunder angle. One thing I’ve always been kind of curious on, did her noticeably Herculean strength come about naturally, or something more mystical like Rei’s own powers? Frankly I don’t think there’s any real drastic difference between the two versions. It’s just another one of those tedious things that purists like to exaggerate. It’s simply more of a case of the Anime giving her more opportunities to actually do stuff. As opposed to the Manga, which tended to sideline her for the benefit of giving the spotlight to the central/newer characters. She might not have got a great deal of development, but she wasn’t so much a wallflower (pardon the pun) in the show. I like Makoto in general, I mean it’s pretty hard to dislike her. She is one big ball of love. Unfortunately however. There is one thing about her Manga/Crystal incarnation that really irks me. And it happens in this one particularly infuriating scene. I really, really do not like how weak-willed, selfish and all together pathetic she (along with the other Inners ) are made to look here. It did a tremendous disservice to the character in my eyes. I prefer my Sailor Jupiter with a bit more ‘grit’ then that. I love every version of Mako, but if I had to choose a favorite it would probably be the anime version. I think it’s because I feel like we get to know her so much in the anime. I love how often we see how sensitive and kind she is and how deeply she values her friends. I also have to say I love her in PGSM too, but in the anime I love how she seems like she’d be the best guardian to be friends with. I like that she has the most balanced approach to Usagi’s issues. 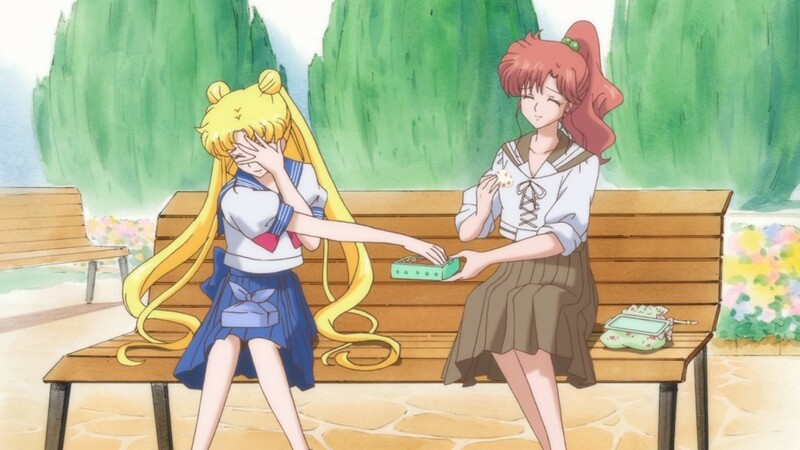 She’ll encourage her to do good in school but she won’t badger her to do it or nag (like Luna and Ami can at times be guilty of) or make fun of her (like Rei), plus she’s fun but she doesn’t really do screwball shenanigans (like Minako would do the later seasons) since she’s humble and easy-going.